International Bird Rescue – Every Bird Matters» Blog Archive » You Can Help Us Raise More Than 2,000 Baby Birds! 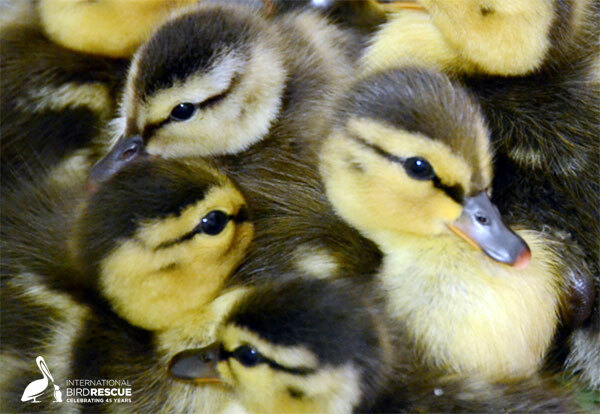 You Can Help Us Raise More Than 2,000 Baby Birds! Did you know that March marks the beginning of Baby Bird Season at International Bird Rescue? As early as the end of February, our clinics will begin flooding with thousands of orphaned baby birds. Due to human-related impacts such as habitat destruction, predator attacks from free-roaming cats, and abandoned nests due to environmental disturbance, many young chicks will end up at our wildlife centers. While this season ALWAYS brings uncertainty as to how many nestlings will need our help, we are ALWAYS committed to helping each and every one. To get an inside peek at what Baby Bird Season at Bird Rescue is all about, watch this short video! Baby Bird Season is hectic and costly in staff time and financial resources. Unlike traditional veterinary clinics, our patients come to us with no funding and no one responsible for paying the bill. And what’s worse, the bills for these young birds are always high. Baby bird patients require round-the-clock care, capable hands, and lots of food and vitamins in order to be raised successfully and returned to the environment. By pledging your support today, YOU can help us raise more than 2,000 baby birds this season! Please give generously through our busiest time of year – Baby Bird Season – and thank you for answering this call-to-action for aquatic chicks! To donate now, click below. THANKS TO YOUR HELP over 2,000 orphaned birds will receive critical care at International Bird Rescue this spring, as well as a bright new opportunity to return to the wild. From all of us at Bird Rescue, THANK YOU for giving them a fresh start! P.S. Follow us on Facebook, Twitter, and Instagram to join in on a week-long journey that will look at the diversity of baby birds that come into our care, and ways that you can help! This entry was posted on Saturday, February 24th, 2018 at 7:15 am and is filed under Adopt a Bird, Baby Birds, News. You can follow any responses to this entry through the RSS 2.0 feed. You can skip to the end and leave a response. Pinging is currently not allowed.